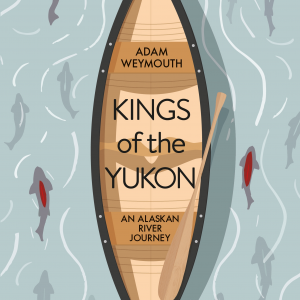 Adam Weymouth has been shortlisted for the 2018 Young Writer of the Year award for his debut, Kings of the Yukon: An Alaskan River Journey. The Yukon River is almost 2,000 miles long, flowing through Canada and Alaska to the Bering Sea. Setting out to explore one of the most ruggedly beautiful and remote regions of North America, Adam journeyed by canoe on a four-month odyssey through this untrammelled wilderness, encountering the people who have lived there for generations. The Yukon’s inhabitants have long depended on the king salmon who each year migrate the entire river to reach their spawning grounds. Now the salmon numbers have dwindled, and the encroachment of the modern world has changed the way of life on the Yukon, perhaps for ever. Here, we ask Adam about his writing. You’ve just been shortlisted for the Sunday Times/PFD Young Writer of the Year Award. How does it feel? What does being shortlisted mean to you? I’m thrilled. This began as such a personal project, and I was always curious about whether it would be possible it get people to come to care about a fish, to be able to translate the issues and the landscapes that make the North such a rich and complex place to a British audience. So that it’s resonated with the judges means a huge amount. The unravelling of the Yukon’s ecology is a story that needs to be heard, that has a relevance far beyond Alaska, and I hope that being on this shortlist can help that story find a wider audience. When did you first start writing? What drew you into it? I have written, and have wanted to write, for as long as I can remember, although originally it was always fiction. Landing on non-fiction was more of an accident. The first pieces I had published I wrote when I was walking across Europe from England to Istanbul, and I realised that I might be able to get paid for doing what I already loved to do. As much as I enjoy the writing, the real privilege of my job is being able to get to meet the people that I do, being allowed into lives that I would never otherwise get to experience, and being trusted with other peoples’ stories. How did you come to write Kings of the Yukon? In 2013, I travelled in Alaska for the first time. Passing through the town of Bethel, far out on the Yukon delta, I sat in on the trial of 23 Yup’ik fishermen, accused of defying a ban on the catching of king salmon. Despite being aware of the dramatic declines in the salmon, the Yup’ik had gone out and fished anyway, claiming that it was as much a part of their cultural heritage as it was for obtaining food. They were defending themselves on the First Amendment, the right to practice their religion. Yet they were found guilty, the state proving that they had due cause in protecting the extremely vulnerable king. Two different ways of understanding the world were being forced up against each other, and I felt that there was a larger story to be told. I set about planning a journey by canoe from the source to the mouth of the Yukon, to explore the reasons for the decline of the fish, and the impacts that was having on the people and on the ecosystems that depended on them. I had seen that to talk to people about salmon was to talk about so much more than that: their fears for the future; their hopes for their children; what it means to be indigenous in 21st Century America; what it means to be subsistence in a capitalist world. 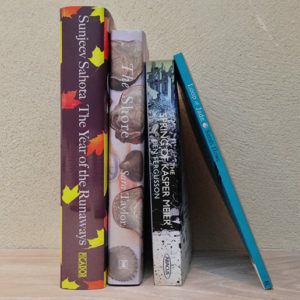 The search for the king, I hoped, would be a way of exploring those deep connections between a people, a land and a fish, and of how changing one shifts the balance of the whole. Tell us a bit more about the writing process: How long did it take you, what did it involve? I had done long slow journeys over land before – in 2010 I walked from England to Istanbul as an exploration of pilgrimage. I liked the connections it opened up, the way people opened their doors to me for meal or a chat, the string of coincidences as I was passed from one person to another across the continent. It seemed a good way to get a true cross-section of a place, to be open to whatever came at me, and different from the journalist work I have since done: arriving with a preconceived idea of the story and little time to waste. The river suggested a natural path, and the four months it took to travel it allowed for getting to know the people and the Yukon in a far more intimate way than other forms of travelling would have permitted. I ended up returning for a few weeks the following summer, as one brief summer in the North, between the break-up and the freeze-up of the river, is just too little time. Research is about listening. An audience with certain elders, in particular, required a great deal of time and of respect. I would write every evening on the river, alongside all the work that needed doing in camp: cooking the food, making a fire, setting the tent – that Ulli was with me for much of the trip was a massive help in being able to share that work. We photographed extensively as well. And then there was a year back in England, typing up the notes and writing, trying to hold those images of the Yukon in my head whilst sat in the British Library. Which writers (of fiction/non-fiction) do you look up to? What do you like in them? John McPhee has written for the New Yorker for over half a century and his breadth of knowledge is astounding – his environmental writing is particularly strong and balanced. Coming Into the Country is the best book on Alaska out there. Rebecca Solnit is the best essayist of our time. As much an activist as an author, she is never shy of merging ecological writing with the political, and has a total conviction that stories really can change the world. And Cormac McCarthy, who writes about the land as a character as dark and complex as any person. I had a baby at the start of this year, so I’ve been beginning to think of more of child sized adventures. I’ve always liked this quote of Bill Mason’s: “Prospective parents often ask when is the right time to start canoeing with their child, and I always tell them that, if the parents are competent canoeists, then on the way home from the hospital should be just fine.” That said, the boat we live on is starting to look a bit small with a toddler, and next year we’ll be moving to Lesvos, Greece, to work in one of the migrant camps out there. Ideas for the next book are bubbling away, but there’s nothing quite concrete just yet. Adam Weymouth’s work has been published by a wide variety of outlets including the Guardian, the Atlantic and the New Internationalist. His interest in the relationship between humans and the world around them has led him to write on issues of climate change and environmentalism, and most recently, to the Yukon river and the stories of the communities living on its banks. 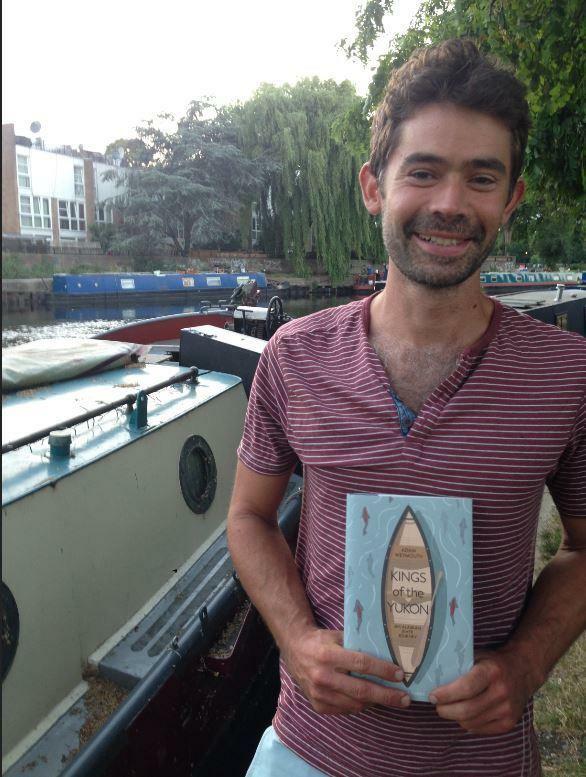 He lives on a 100-year-old Dutch barge on the River Lea in London. This is his first book. Explore A. L. Kennedy's How To Write guides for advice and guidance on how to be the best writer you can.